This is a part of "The Life and Legacy of Lama Tsongkhapa" presented by Tse Chen Ling. Tse Chen Ling is truly honored to announce that Thupten Jinpa, principal English translator to H.H. the Dalai Lama, will be coming to Tse Chen Ling as part of our year-long series "The Life and Legacy of Lama Tsongkhapa." Thupten Jinpa is a former Tibetan monk who holds the Geshe Lharam degree, as well as a B.A. in philosophy and a Ph.D. in religious studies, both from Cambridge University. Since 1985, he has been the principal English translator to H.H. the Dalai Lama and has translated and edited numerous books by the Dalai Lama, including the New York Times Bestsellers Ethics for the New Millennium and The Art of Happiness. Jinpa’s own publications include works in Tibetan, English translations such as Mind Training: The Great Collection and The Book of Kadam, and books, including Self, Reality, and Reason in Tibetan Philosophy, Dispelling the Darkness: A Jesuit’s Quest for the Soul of Tibet (co-authored) and A Fearless Heart: How the Courage to be Compassionate Can Transform Our Lives. Jinpa is the main author of CCT (Compassion Cultivation Training), an eight-week formal program developed at Stanford University. 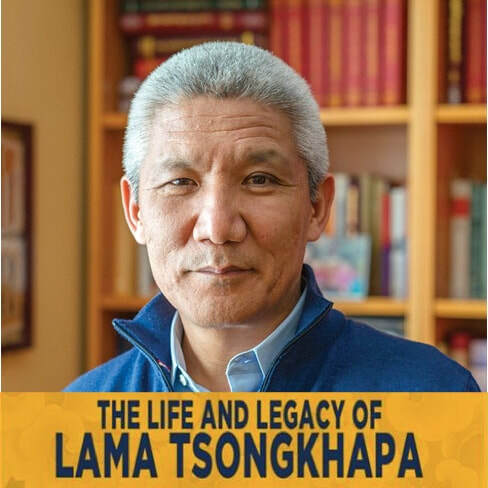 He is the founder and president of the Compassion Institute, the Chair of Mind and Life Institute, founder of the Institute of Tibetan Classics, and an adjunct professor at the School of Religious Studies at McGill University. Jinpa lives in Montreal and is married with two daughters. This teaching is a part of "The Life and Legacy of Lama Tsongkhapa" presented by Tse Chen Ling. Je Tsongkhapa Lobsang Drakpa (1357- 1419) was one of the greatest figures in the history of Tibetan Buddhism and the founder of the Gelug tradition. The year 2019 marks the 600th anniversary of Lama Tsongkhapa's parinirvana. Tse Chen Ling will be offering a series of programs that celebrate the life and lineage of Lama Tsongkhapa. These programs will reflect the core teachings and unique features of the Gelug tradition. 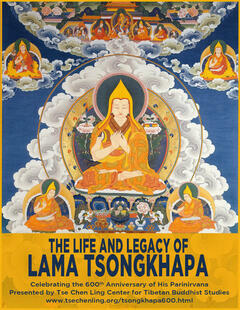 For details, please visit the Life and Legacy of Lama Tsongkhapa series page.